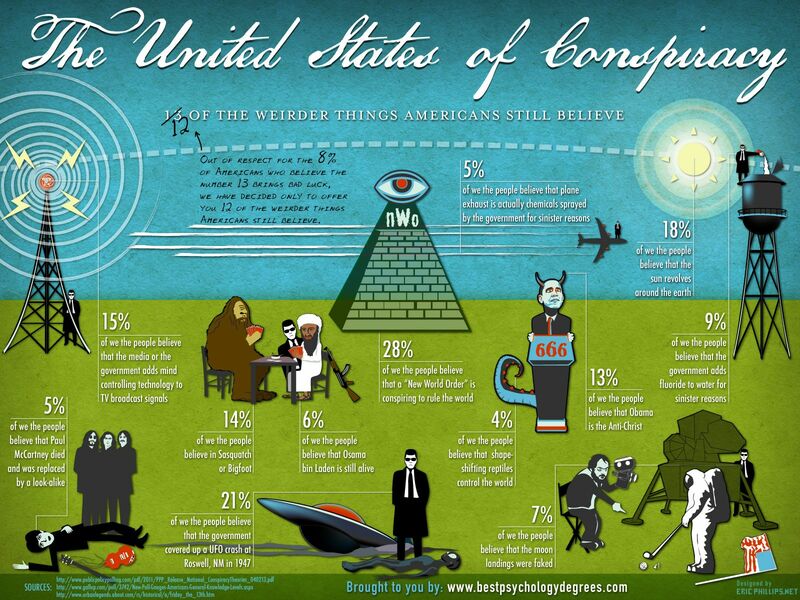 Our upcoming radio show is going to have a discussion on conspiracy theories. I love a good conspiracy theory. The emphasis there should be on “good.” Don’t randomly tell me you think missing children are the pink slime in McDonald’s chicken nuggets or that airplanes get randomly sucked up by UFOs. Give me proof. Real proof. Not that a friend of your brother’s roommate’s cousin said something that he heard said by his own sister’s boyfriend. I went to law school, I know proof. That ain’t it. But that’s the catch of conspiracy theories: once you have proof, it goes from theory to fact. The theories that I have seen move from the category of theory to fact don’t really strike me as theories in the first place. Government mistakes and cover ups happen, but not on a 9-11 conspiracy scale. The government hides information from us. Sometimes its “for our own good,” like to prevent what could be seen as mass hysteria in a reaction from the revelation. Sometimes its for security reasons- we don’t want other countries knowing if and when we blew up their buildings to incite a riot to overthrow the ruling government. Bribery works in D.C. That’s not a conspiracy theory. Drug companies and manufacturers of goods have no problem telling you their product is 100% safe and effective, only to face recalls and law suits years down the road. However, sometimes the reality is stranger than fiction… and scarier. For example, during prohibition the FBI actually poisoned U.S. Citizens to further “prove” how bad alcohol can be for you. Nice right? The liberal media can be swayed but so can conservative media. The truth always lays somewhere in between. That’s not a conspiracy, nor do I believe it ever has been. Your belief system is your own, and who you choose to believe is a decision of your own but my advice is to take all you hear with a heavy grain of salt and consider the source. Of course, don’t immediately dismiss anything either because truth really is stranger than fiction.